The Los Angeles Haunted Hayride in Griffith Park has a “Secret Society” theme this year and for the first time ever passengers will leave the safety of the hay wagon for a section of the trip. 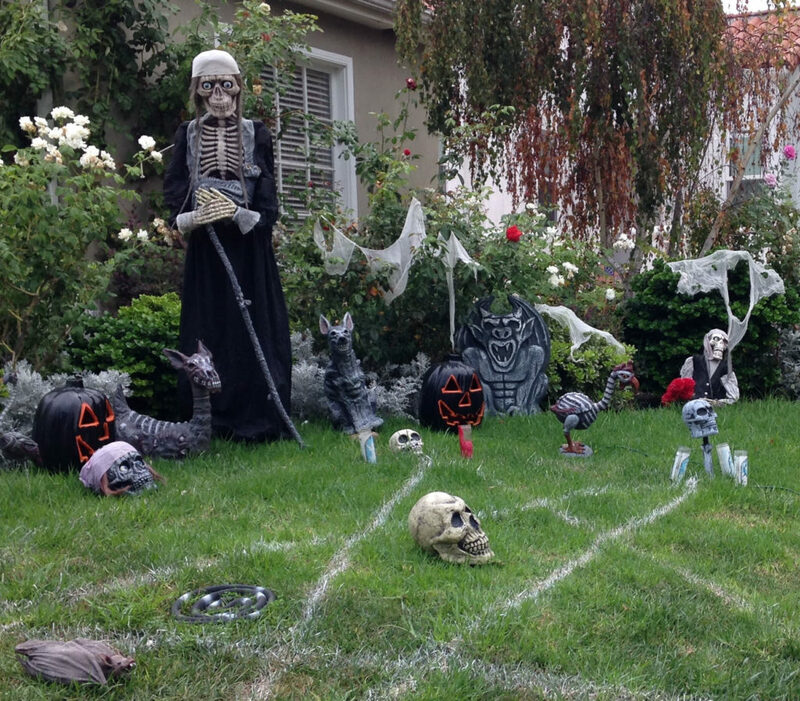 There is also a haunted suburb to go trick or treating in, a haunted maze, and more. Think Tank Gallery is hosting Trap House-a combination art show/ escape room running all day and night. The sci fi/ horror themed art show is free. The escape room is a ticketed half hour experience with a human trafficking and organ harvesting theme. The biggest event in the city has to be the West Hollywood Halloween Carnaval– a massive free street party (500,000 people!) on Santa Monica Blvd. with multiple music stages and a chance to see some of the most creative costumes around. Palihouse nearby has tickets for their rooftop party ($20) and there are also additional parties at several places in the area. Definitely don’t drive there though- it gets pretty hectic!